This doggie has enough attitude to be best in show while winning the hearts of every spectator and judge! 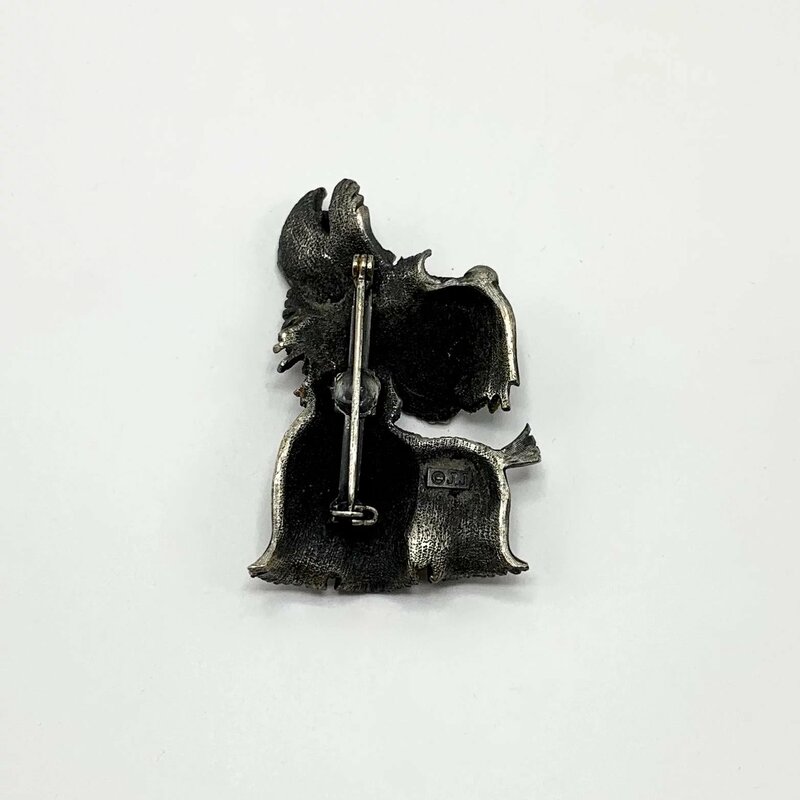 A red enamel nose and collar and a pupil-dotted faux pearl eye add just the right amount of detail to this perfectly groomed Yorkshire Terrier pin. 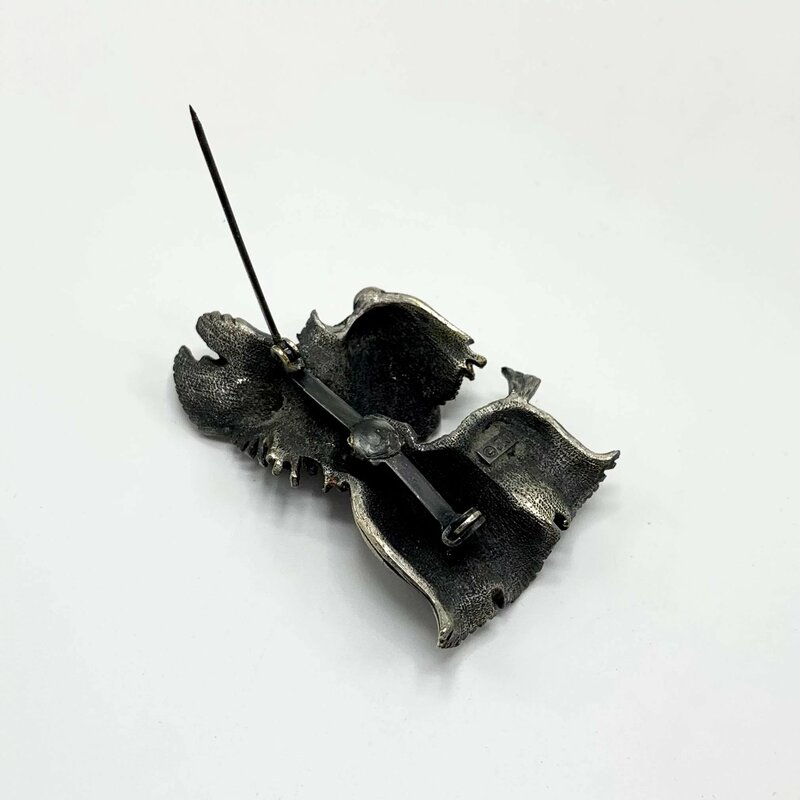 Produced by the Jonette Jewelry company and signed JJ, this is one of their best most finely detailed efforts. 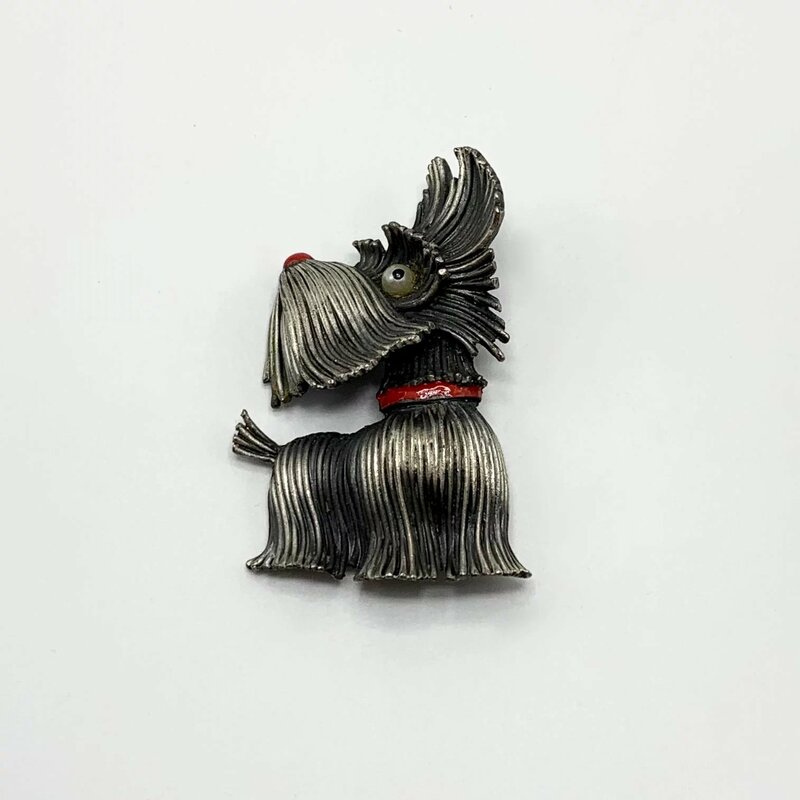 The pin is in silver-tone metal with black oxidized detail to make the hair resemble a spiffy Yorkie. 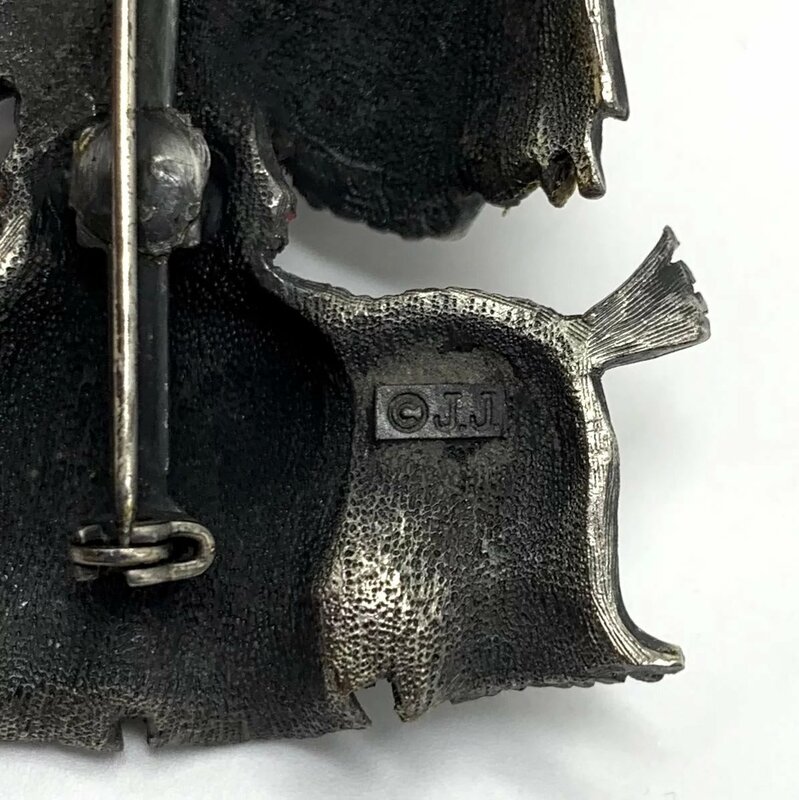 It measures 1 1/2” wide and 2” tall.